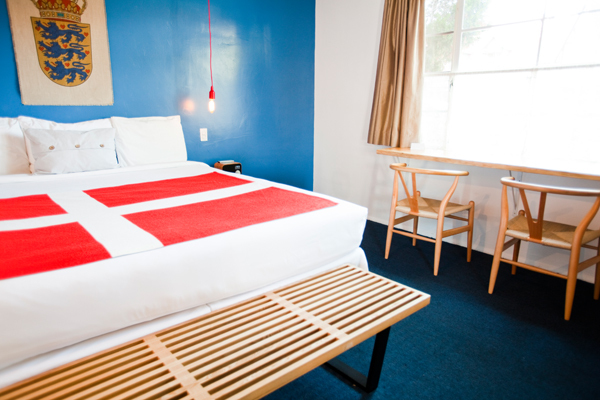 The Hamlet Inn is a Danish modern inn located in the heart of Solvang, CA. We have 15 rooms on site, and work well with small groups/parties. Our rooms are furnished with Vers ipod docks, Danish modern chairs, lovely Danish flag blankets, coffee machines, hair dryers, small refrigerators, and heater/ac systems. We also have complimentary bicycle rentals for our guests and an on-site bocce ball court.